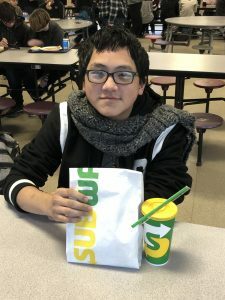 AHS Junior Kaleb Her was recognized during lunch today as our Subway Student of the Week for displaying his Raider Pride and the core value of Participation. Kaleb walks in to class every day with a smile, is always prepared and ready to participate with questions, answers or ideas. Way to go Kaleb!